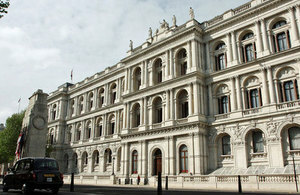 Foreign Secretary William Hague has updated Parliament on progress in Afghanistan during July and August 2011. “I wish to inform the House that the Foreign and Commonwealth Office, together with the Ministry of Defence and the Department for International Development, is today publishing the ninth progress report on developments in Afghanistan. This report focuses on key developments during the months of July and August, commonly associated with a seasonal escalation of violence, and the month of Ramadan, a period during which the Taliban leadership has called for increased activity. There have been a number of high-profile attacks, including the 19 August attack on the British Council, which seriously undermine perceptions of security although overall, there have been fewer enemy attacks across the country than last year. Progress has been made towards our security objectives but challenges remain, including civilian casualties as highlighted by the latest UN Assistance Mission Afghanistan (UNAMA) report. General Allen took command of ISAF in July and will conduct a campaign review in due course. The first seven areas (including Lashkar Gah in Helmand) formally began the transition process in July. Transition does not mean an immediate withdrawal of International Security Assistance Force (ISAF) troops but will see the Afghan National Security Force (ANSF) begin to take lead responsibility for security in the areas. ANSF numbers have now exceeded their October 2011 targets and a new target of 352,000 by the end of October 2012 has been endorsed by the Security Standing Committee of the Joint (Afghan and NATO) Coordination and Monitoring Board. There was a welcome reduction in overall Afghan National Police (ANP) attrition which brings the rate back on target but Afghan National Army (ANA) attrition rates still need to be reduced. We welcome President Karzai’s Decree of 10 August which ruled that the final decisions of the parliamentary crisis should rest with the Independent Electoral Commission (IEC). On 21 August the IEC announced its findings and called for the replacement of nine sitting MPs. It will fall to the Secretariat of the Lower House of Parliament to implement the changes.